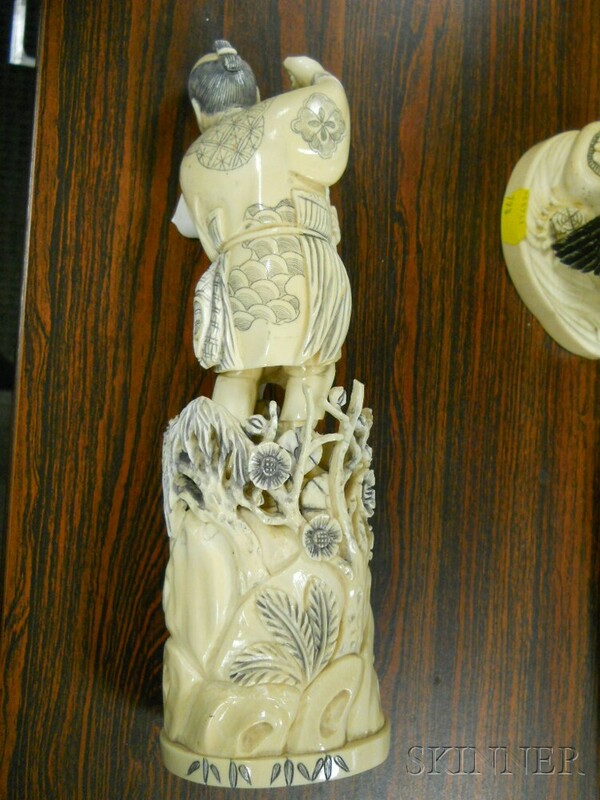 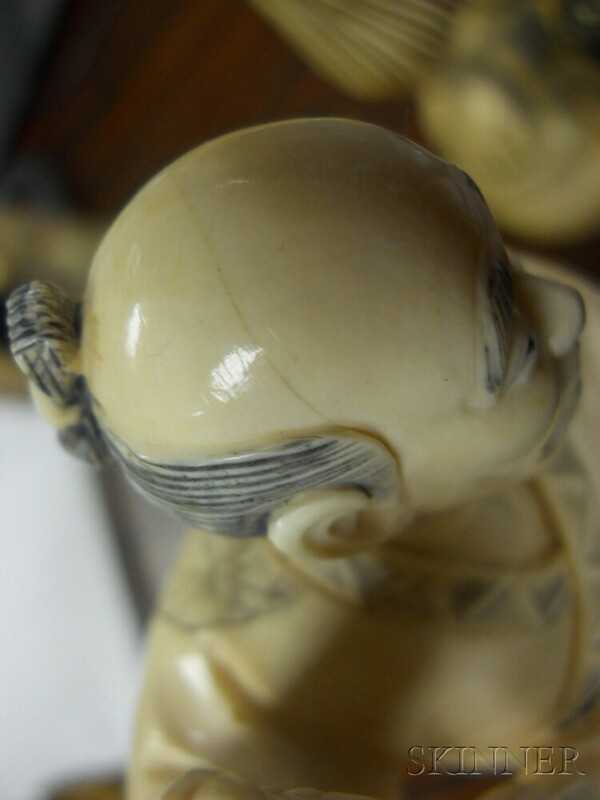 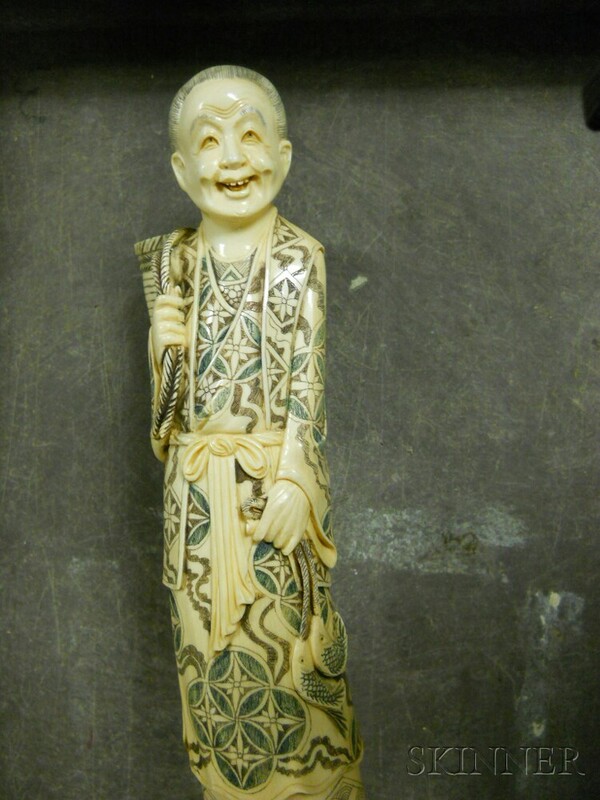 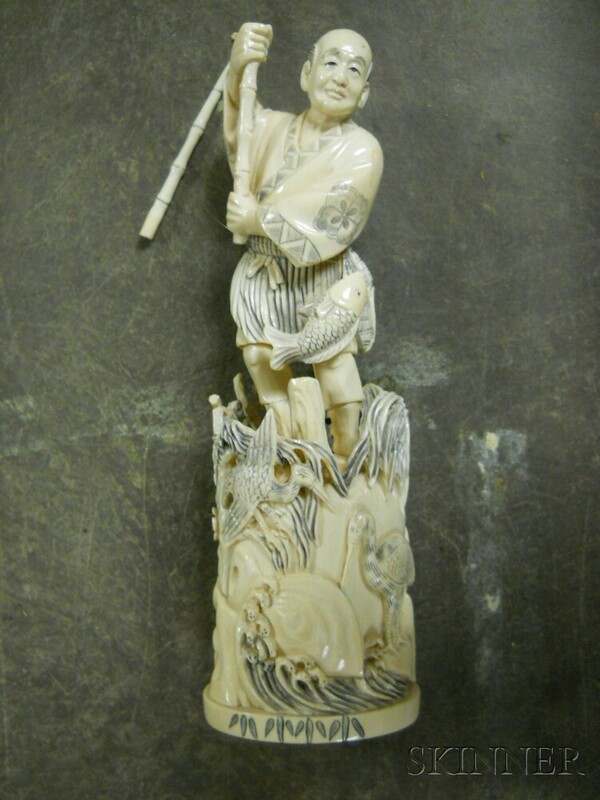 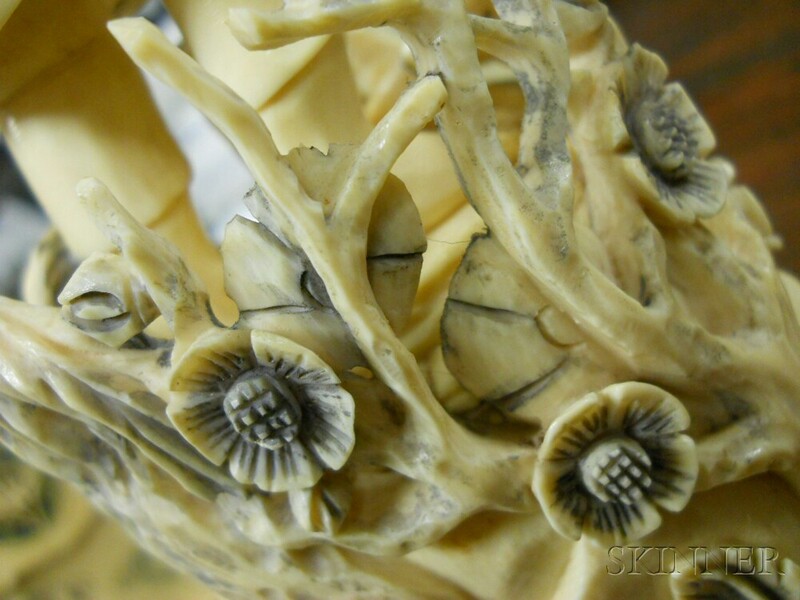 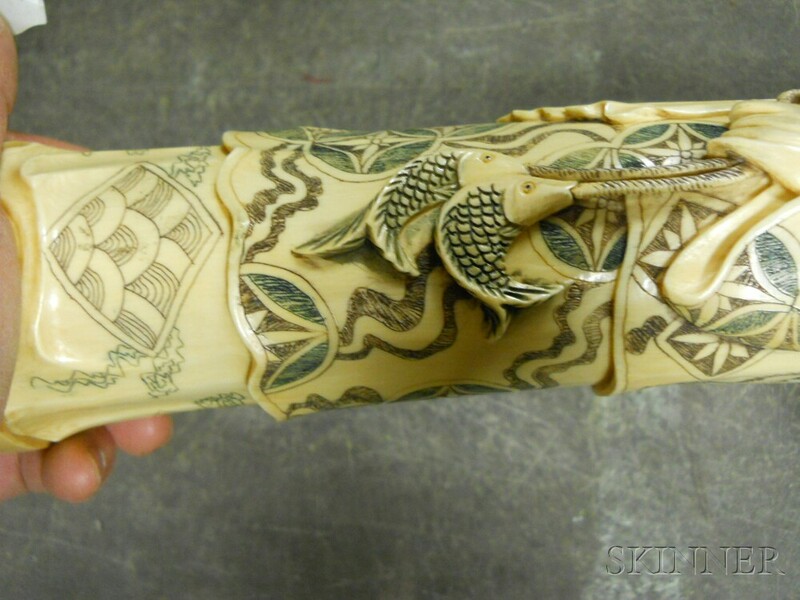 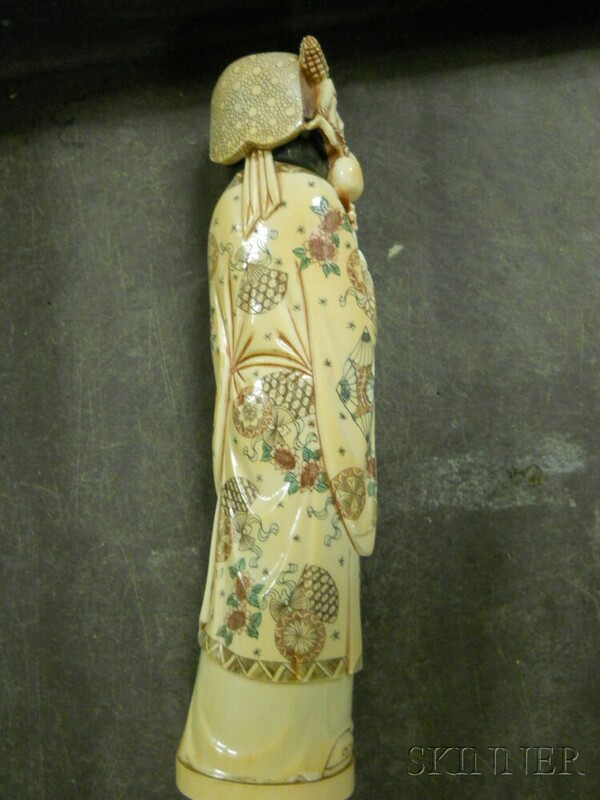 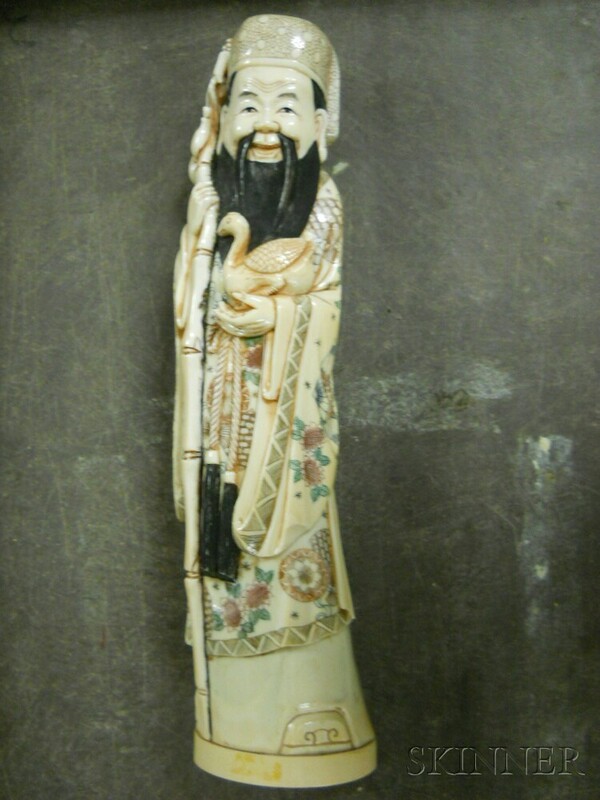 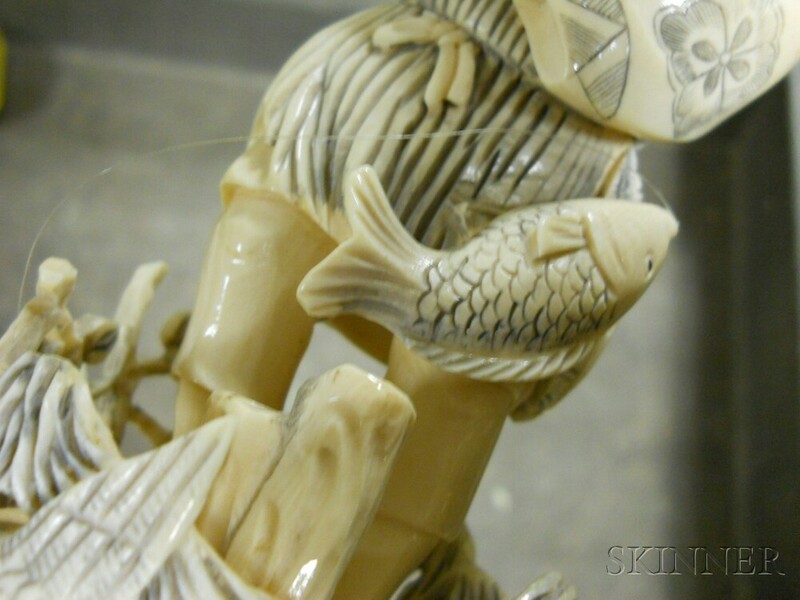 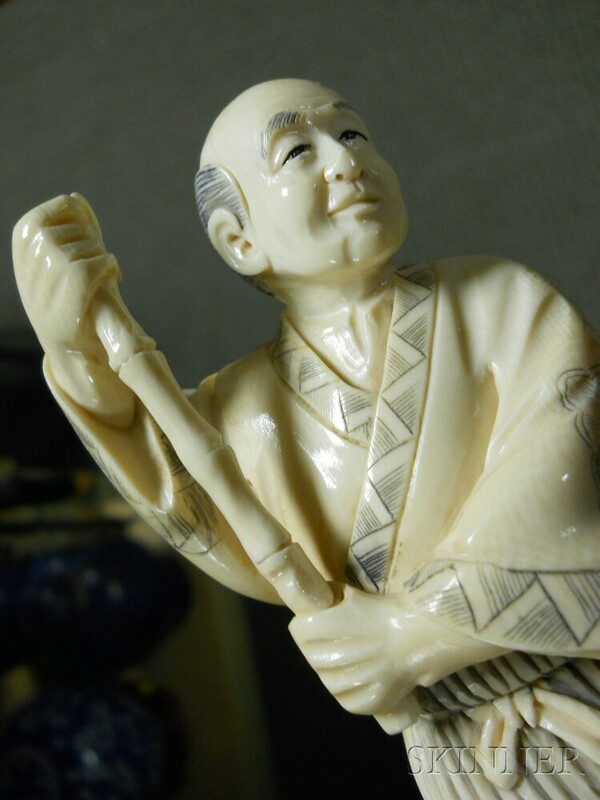 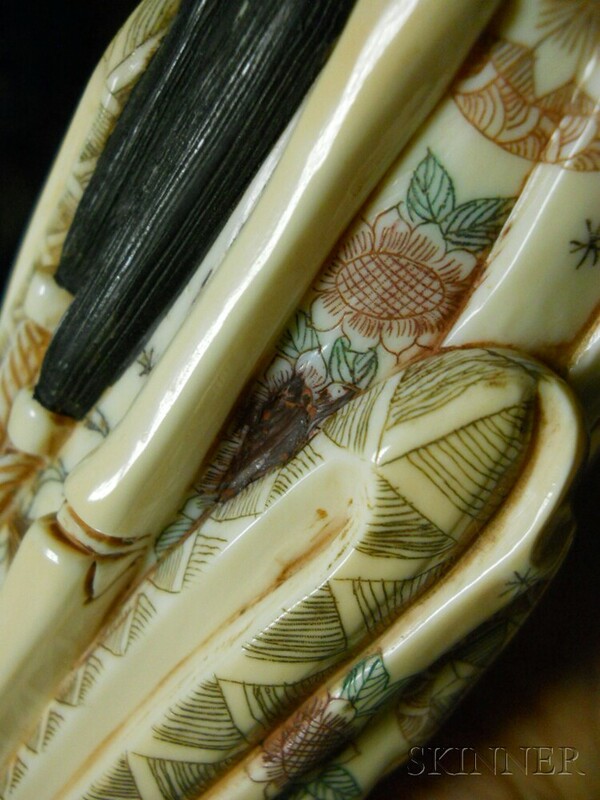 Four Ivory Figural Carvings, China and Japan, a Chinese Immortal with a duck and a staff, ht. 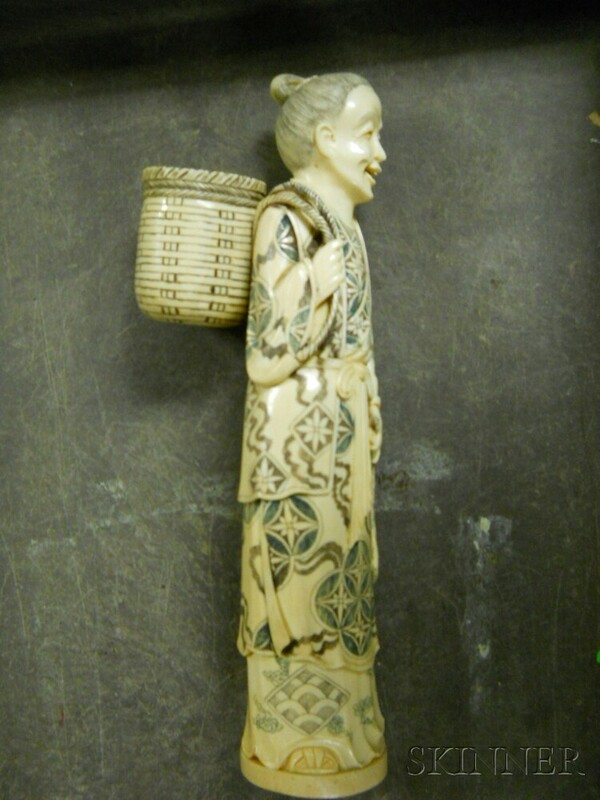 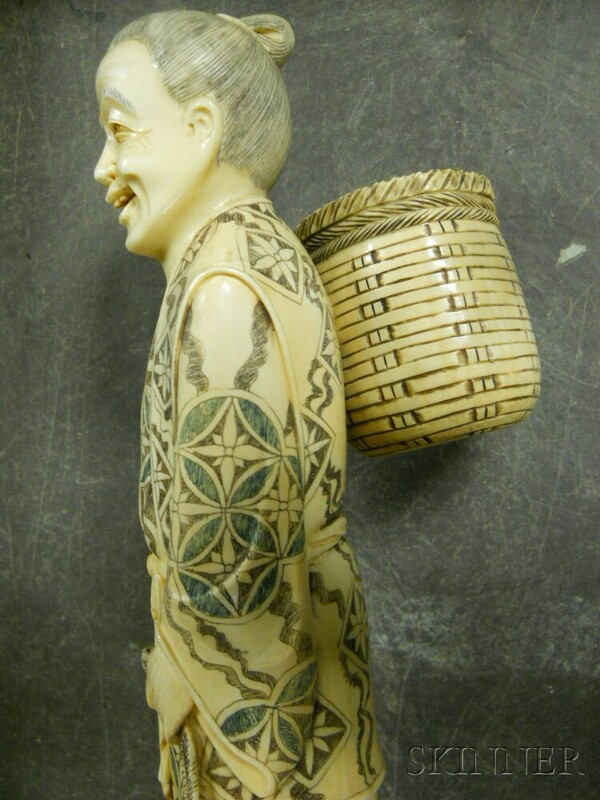 12 1/4, an old Japanese woman with a basket on her back, ht. 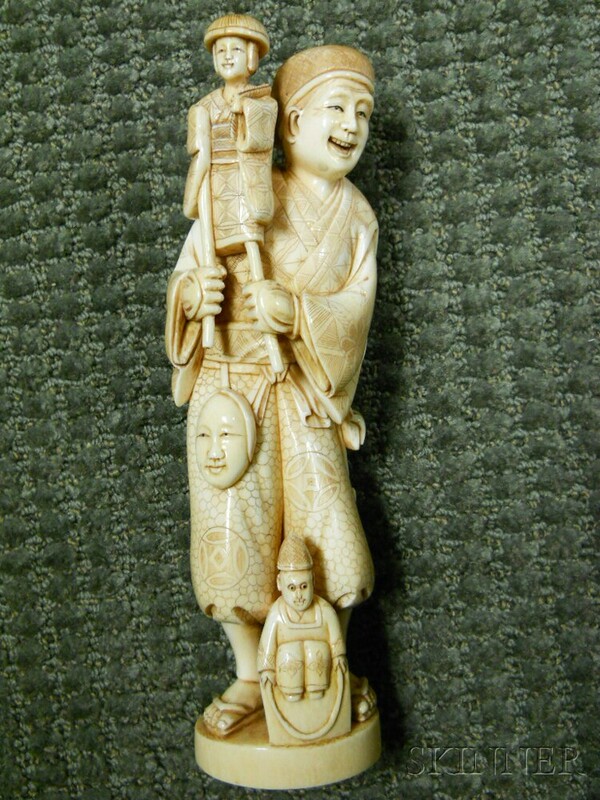 12, one Japanese man with a child puppet and a mask, ht. 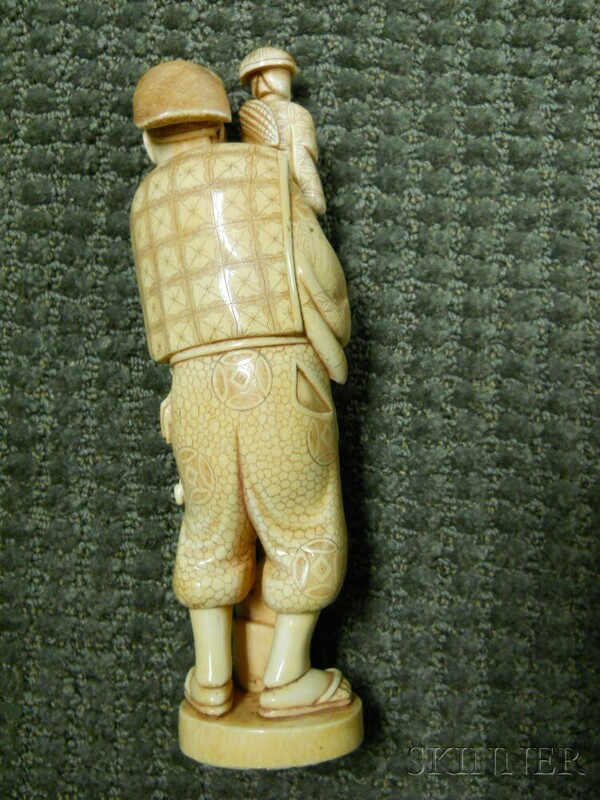 8 1/2, and one Japanese fisherman with a fishing hook and waterfowl, ht. 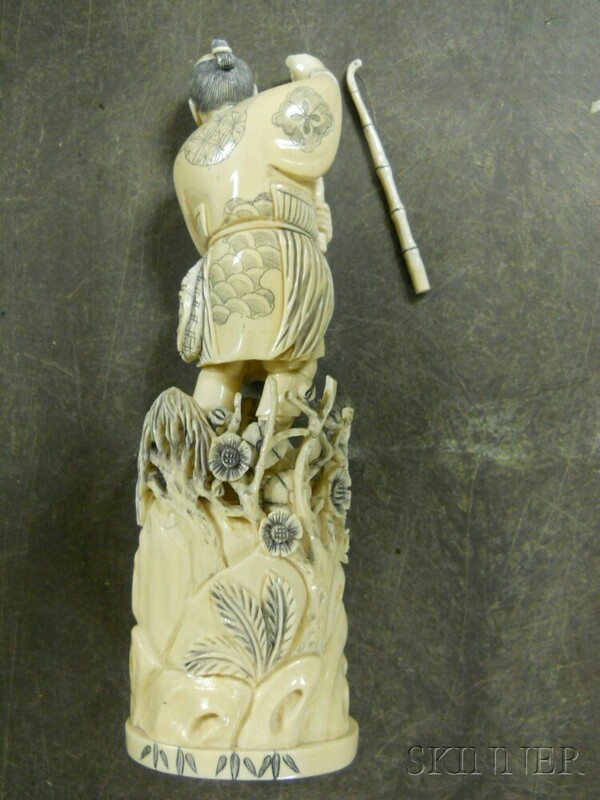 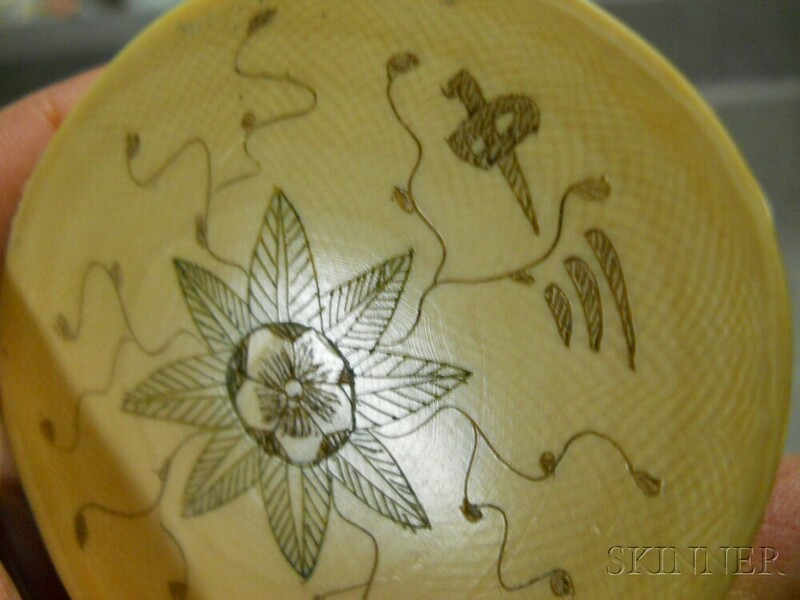 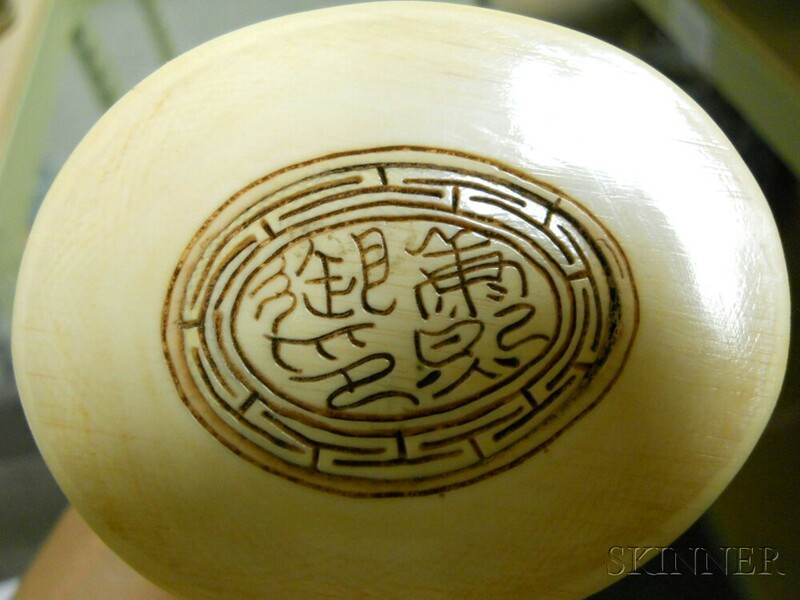 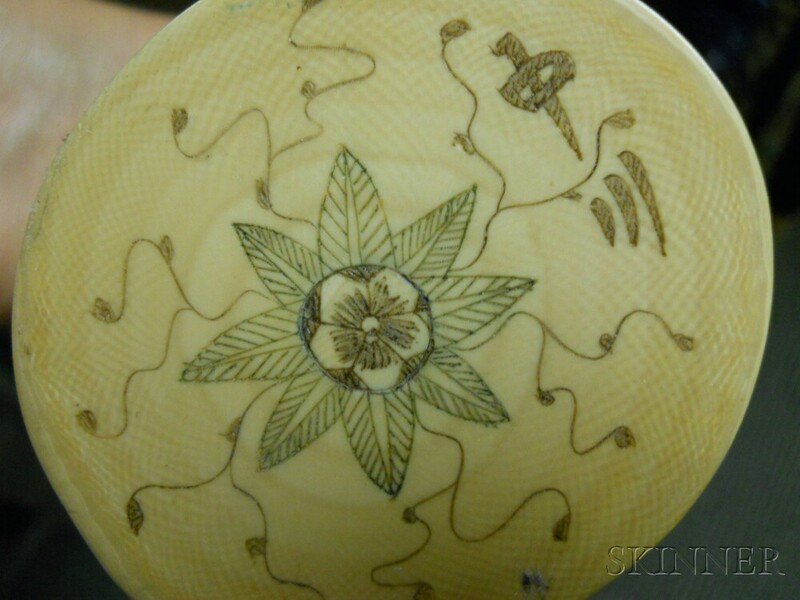 9 in., all with incised and stained details and signed to base. 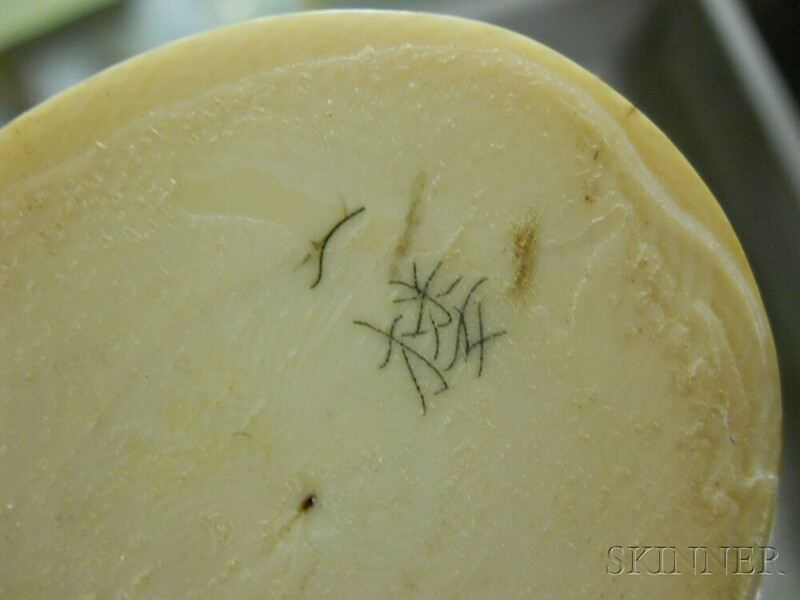 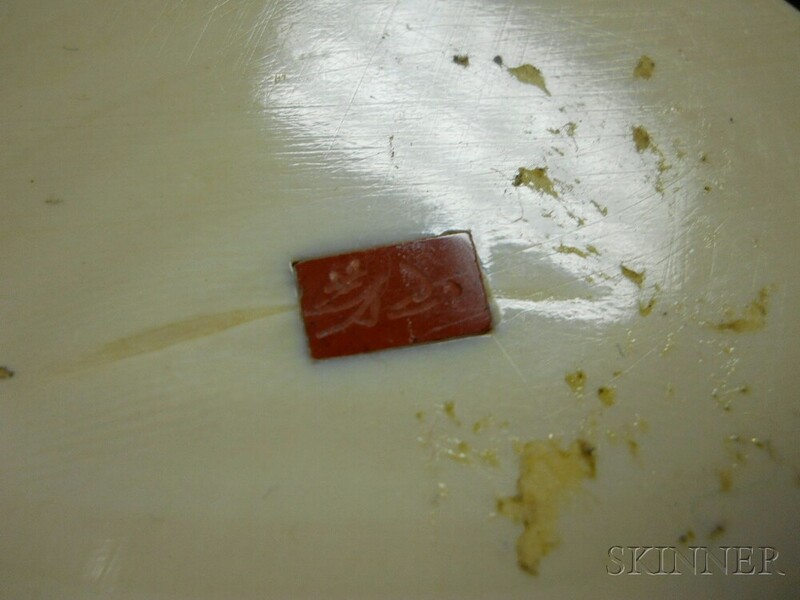 age cracks to fisherman, damage to the hat of a fisherman.